Just a few moments ago, Google has announced that Blogger can now automatically share their blog posts to Google+ publicly as soon as they are published on their site, with no additional steps or clicks required. In fact those people who have connected their profiles with Google+ would already see a notification about this new feature, and it is enabled by default. This feature has a lot of perks for blogger users including exposure and doing the task more quickly. 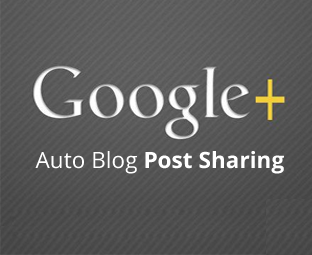 In this article, we will show you, How to Automatically Share your posts on Google+ in Blogger. If you want to avoid sharing posts on Google+ the next time you publish a post, or you do not want to share posts automatically then you can just turn off this feature from the Google+ tab located in your blogger Dashboard. The very first thing you need to do is to connect your Blogger account with your Google+ profile because without having a connection you will not be able to avail these features. 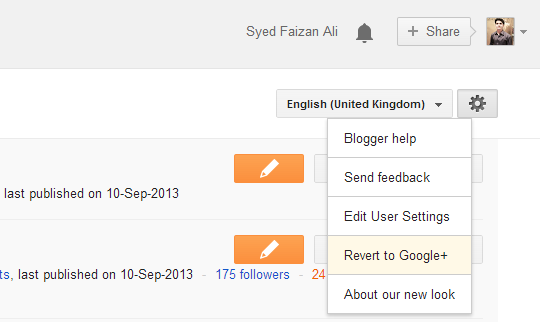 On the right top corner of your Blogger dashboard, click the Wrench button and then select “Revert to Google+ Profile”. Once done, you will be able to see use the features offered by Google+ to its blogger users. After connecting your profile to Google+, select any blog and head over to the “Google+” Tab and check (tick) the "Automatically share after posting" Box. 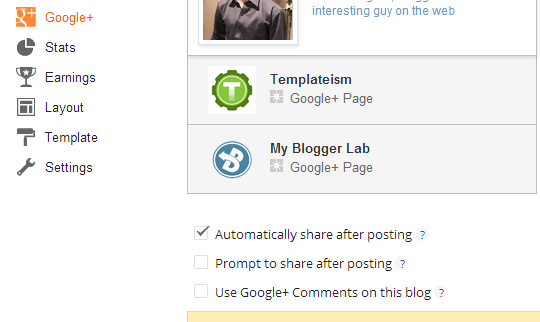 Congratulations: You have successfully learned how to enabled automatic blog post sharing on Google+ in Blogger. Now when you will publish a new post, it would automatically be published on your connected Google+ profile or page. After the arrival of Google+, there were many rumors that Google might deprecated Blogger and claim to be the biggest social networking site. Instead, the company is trying its level best to pull these two giants together and closer. In December 2013, Google+ mention system was brought to blogger. In July 2013, Google+ Prompt sharing arrived on Blogger. In April 2013, Google+ Comments were made available to Blogger. Now Blogger posts will show up automatically on Google Plus and the replies made to those posts that appear respectively in comments. By such integrations this is for sure that Blogger is here for a long run. Now if Google+ starts disappearing from Blogger then you should know that what will happen. Yes, Blogger will be deprecated just like Google Reader. Thanks for this article.it is a very difficult to update google+profile time to time.This tutorial make it easy.